Sisal hemp is a common type of agave plants. It is a kind of perennial leaf fiber crops. 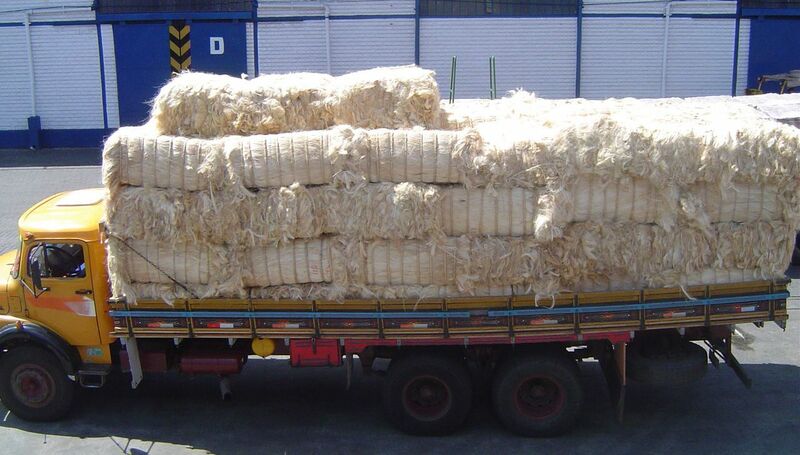 Sisal fiber is the natural fiber derived from the leaves of the agave plant. This kind of fiber is fairly stiff, coarse and inflexible, and currently is widely used in various industrial fields. Sisal has the characteristics of thermophily, drought-tolerance and resistant to the semi-arid climate. Thus it is suitable to grow in tropical and subtropical regions. Sisal fiber is native to Mexico, but the largest world producer currently is in Brazil. Besides Mexico and Brazil, sisal is also produced in Tanzania, Kenya, Madagascar and China. In China, the majority is growing in Leizhou Peninsula and some parts of Guangxi district. 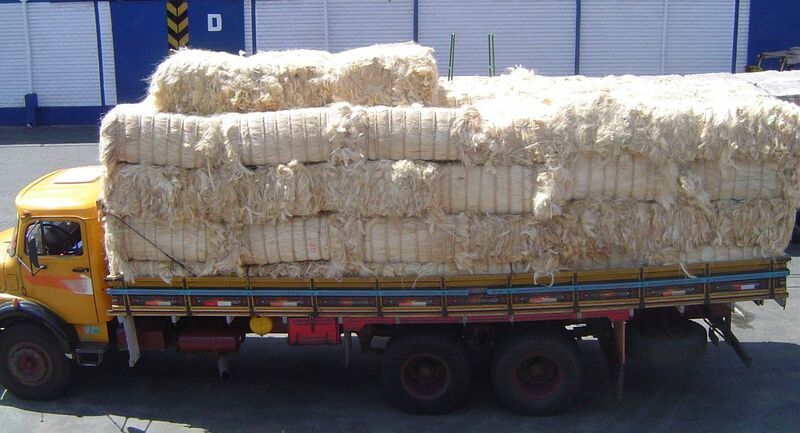 On account of its low cost, low density, high strength, durability, no health risk, and ability to stretch, Sisal fiber is mainly used in three grades in industry. 1. Paper industry: due to its containing of rich cellulose and hemicellulose, sisal is good material for making paper. Normally low grade fiber is used in paper industry. 2. Cordage industry: medium grade fiber is used here for producing ropes and twines for fisheries, navigation, mining, transportation, oil field industries. 3. Carpet industry: usually high grade fiber is used for processing into carpets. Do you know how the sisal plant is processed into fiber? Firstly farmers reap the leaves of the plant from fields, and then they are decorticated by machine. Meanwhile the leaves are crushed between the rollers of the machine and the water inside the leaf is squeezed out subsequently. The fiber is then washed and dried by mechanical or natural means. After that, with the help of sisal fiber baler machine, they are compressed and baled into compact, dense and uniform bales. This sisal fiber baling step is very important because it can greatly save your transportation cost and make loading and unloading easier. Finally they are transported and sold to various manufacturers such as carpet and matting companies, hemp rope companies, paper mill, etc. for producing final products. SINOBALER has rich baling machine manufacturing experience in plant fiber baling like sisal fiber baler, coconut fiber baler, palm fiber baler and abaca fiber baler. Contact us now if you have any baling requirements.